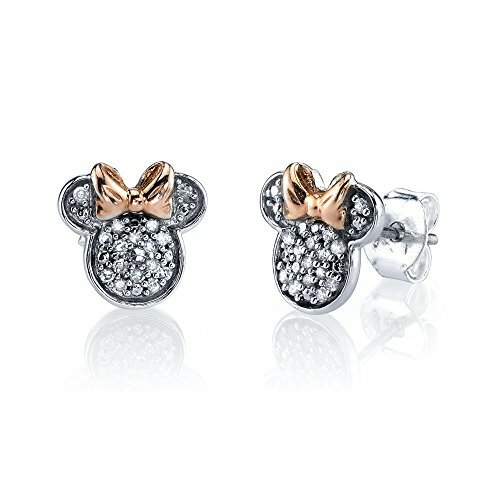 These classic Minnie Mouse stud earrings will be a subtle statement to show your love for Disney. These earrings are accentuated with 28 round single cut diamonds beautifully set in sterling silver adorned with a rose gold bow. Earrings have friction back closers. Diamonds are 1/10tw, I or better for color and I3 or better for clarity. Diamonds are 1/10tw, I or better for color and I3 or better for clarity.